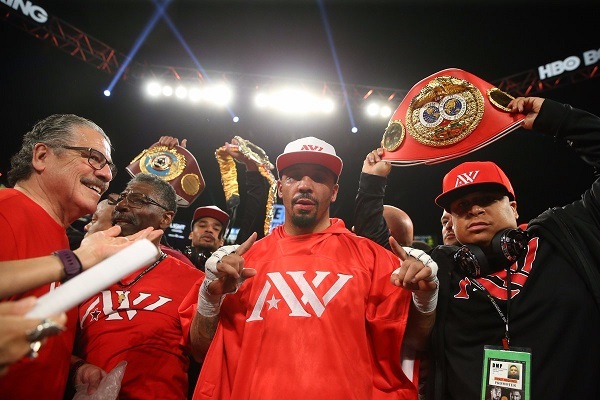 En una anticipada y muy esperada pelea de revancha, el Campeón Mundial semipesado de la AMB, FIB y OMB, el estadounidense Andre Ward, noqueó en el octavo round al excampeón mundial ruso Sergey “Krusher” Kovalev, este sábado en el Hotel Mandalay Bay de Las Vegas, Nevada, Estados Unidos. 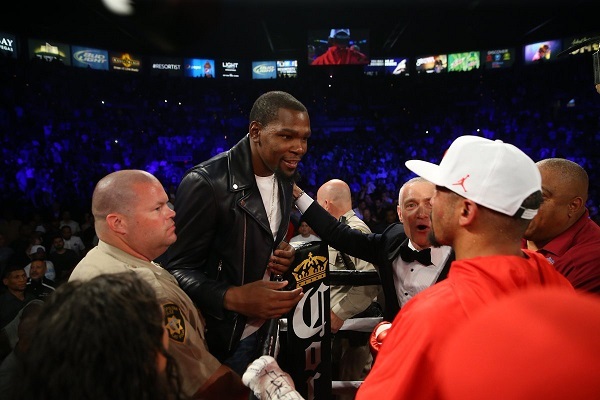 La pelea fue organizada por las empresas Main Events, Roc Nation Sports y TGB Promotions, con transmisión de PPV en Estados Unidos y Combate Space en América Latina. Una potente derecha al rostro y una seguidilla de golpes de Ward, enviaron contra las cuerdas a Kovalev, quien recibió tres claros golpes bajos, doblando su cuerpo, ya agotado, pero con la justificación que eran golpes ilegales. Sin embargo, el referee Tony Weeks intervino y decidió suspender las acciones a los 2:29 minutos del round. Esta decisión de Weeks, provocó la alegría de miles de aficionados que apoyaron a Ward, quien con esta noche le brinda una segunda jornada de satisfacción plena para los aficionados de Oakland, que esta semana vieron coronarse a los Golden State Warriors en la Final de la NBA ante los Cavaliers Cleveland. 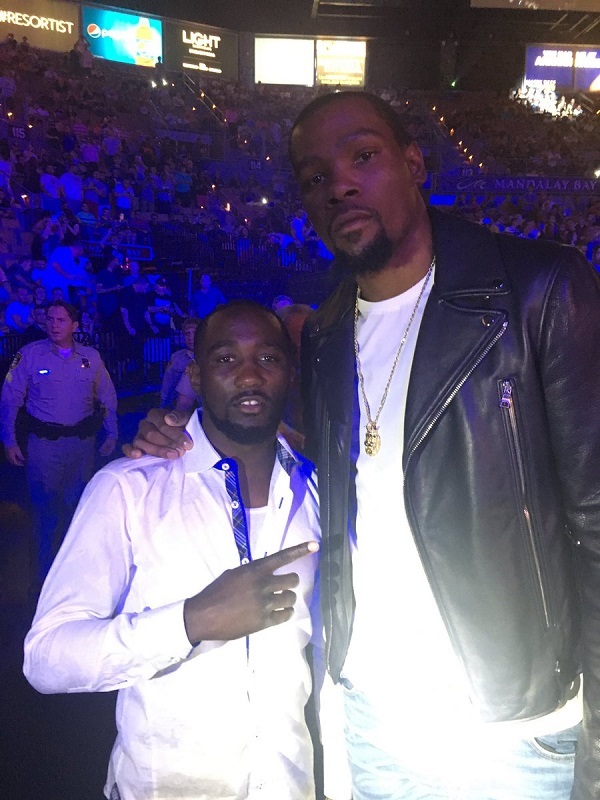 Kevin Durant, MVP de la final, estuvo en primera fila apoyando a Ward. 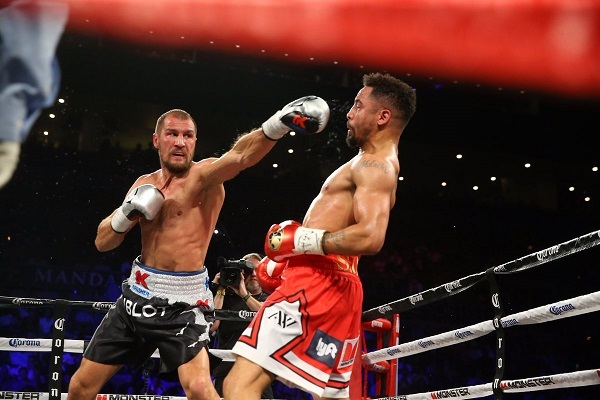 Considerado como uno de los mejores peleadores del mundo libra por libra, Ward logró una victoria valiosa sobre Kovalev, la segunda que consigue en forma consecutiva, para mantenerse como el indiscutible campeón de las 175 libras. Desde el arranque, se vio que la pelea sería pareja, por la calidad de ambos peleadores. 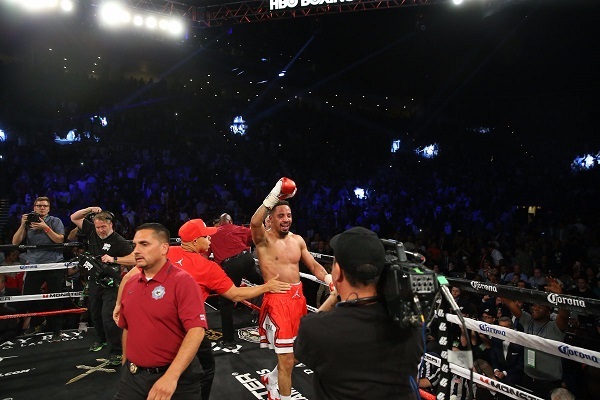 Ward siempre defensivo, contragolpeando, contra un Kovalev decidido a conectar los mejores golpes del combate. A medida que avanzaron los rounds, las acciones fueron muy parejas, con una ligera ventaja del ruso, pero en el octavo round Ward desajustó por completo al “Krusher” con una derecha al rostro que lo puso en muy malas condiciones. A como pudo, Kovalev trató de amarrar y conseguir segundos valiosos para la recuperación, pero Ward no cedió en el ataque, no lo dejó respirar y lo acorraló en las cuerdas. 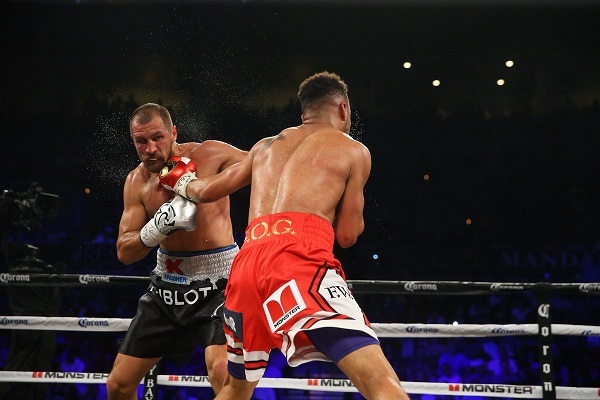 Ward lanzó tres golpes seguidos a los bajos de Kovalev, pero el referee consideró que eran golpes legales y detuvo las acciones porque el ruso parecía vencido, sin fuerza para al menos defenderse. 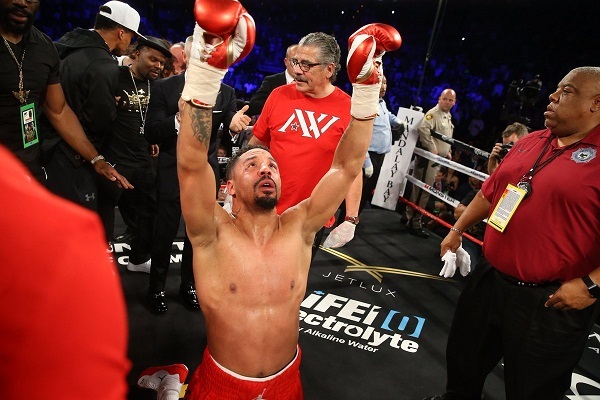 En la entrevista, Ward se mostró muy contento por consolidarse como el mejor peleador de del boxeo actual, mientras que Kovalev se mostró muy molesto mencionando que no estaba en malas condiciones y que fue el golpe bajo el que hizo que se doblara, aseguró que fue mal detenida la pelea. 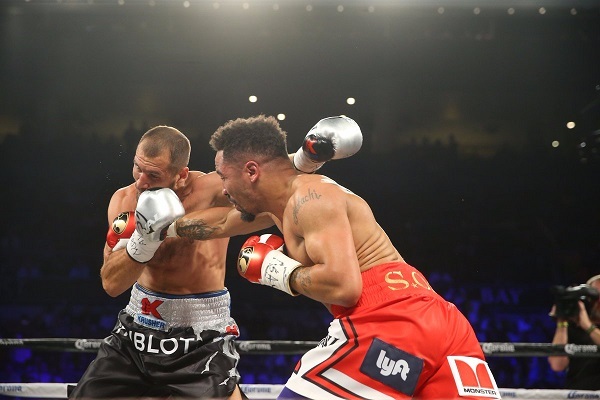 Con esta victoria, el llamado “S.O.G.” Ward mejoró su record a 32-0, con 16 nocauts, mientras que Kovalev vio caer su palmarés a 30-2, con 25 nocauts. My wife and i felt really satisfied when Emmanuel could deal with his analysis by way of the ideas he gained in your web site. It is now and again perplexing to simply happen to be making a gift of facts which other folks might have been making money from. And we also already know we now have the blog owner to thank for that. The explanations you’ve made, the simple site navigation, the friendships you will help engender – it’s got mostly astounding, and it’s really aiding our son in addition to us do think this subject is pleasurable, and that’s wonderfully fundamental. Thank you for all the pieces! I am only commenting to let you know what a terrific experience my daughter experienced reading through the blog. She came to understand lots of things, most notably how it is like to possess a very effective giving mindset to get other individuals completely comprehend some extremely tough subject areas. You actually surpassed our desires. Many thanks for delivering those warm and helpful, trusted, educational and even cool thoughts on this topic to Ethel. I intended to compose you a very small remark to be able to say thanks a lot the moment again about the stunning pointers you’ve featured on this website. It’s certainly surprisingly open-handed with you to supply unhampered precisely what a number of people could possibly have offered as an e-book to get some dough for themselves, especially considering that you could possibly have done it if you wanted. The solutions additionally acted to become a easy way to be certain that most people have similar dreams similar to mine to realize way more related to this problem. Certainly there are many more pleasurable moments in the future for many who find out your site. I together with my pals have already been reading through the good guides on your site and then at once came up with a terrible suspicion I never thanked the site owner for those strategies. My women ended up so joyful to read through all of them and have now absolutely been enjoying these things. We appreciate you truly being really thoughtful as well as for considering certain incredibly good resources most people are really eager to learn about. Our own honest regret for not saying thanks to you earlier. Thank you so much for giving everyone remarkably marvellous opportunity to read articles and blog posts from here. It’s usually very superb and also jam-packed with fun for me personally and my office fellow workers to search your site at a minimum 3 times per week to read the fresh items you have. And of course, I am also certainly pleased for the good hints you serve. Certain 2 ideas in this post are certainly the most impressive we’ve had. I enjoy you because of all your effort on this web page. Betty enjoys managing research and it’s obvious why. All of us notice all about the compelling means you present insightful guidance by means of the website and as well as encourage response from people on this article so our daughter has been learning so much. Take advantage of the rest of the year. You have been doing a pretty cool job. I simply wished to appreciate you again. I am not sure the things I might have taken care of in the absence of those creative ideas shared by you concerning such industry. Completely was a real frightful dilemma in my opinion, however , seeing this specialized way you handled it made me to weep for gladness. Now i am happier for the advice as well as hope you recognize what an amazing job you happen to be putting in training the mediocre ones using your webblog. I know that you haven’t encountered any of us. I am glad for writing to make you understand of the helpful discovery my wife’s princess found reading yuor web blog. She picked up some issues, which include what it’s like to possess a marvelous helping mindset to get many people with ease understand several problematic things. You really did more than my expectations. Many thanks for rendering such priceless, trustworthy, revealing and as well as fun guidance on this topic to Janet. I truly wanted to make a remark so as to thank you for these amazing instructions you are writing at this site. My extensive internet look up has finally been honored with brilliant facts and strategies to go over with my pals. I would suppose that most of us visitors are rather lucky to live in a fabulous network with very many brilliant individuals with interesting solutions. I feel extremely privileged to have discovered your entire web pages and look forward to many more pleasurable minutes reading here. Thanks once more for a lot of things. I wish to show my appreciation for your kind-heartedness for women who really want guidance on in this content. Your personal commitment to getting the solution along came to be particularly interesting and has specifically empowered most people much like me to reach their dreams. Your important publication can mean a whole lot to me and especially to my fellow workers. Warm regards; from all of us. Thank you a lot for giving everyone an exceptionally marvellous opportunity to discover important secrets from this blog. It can be very great and as well , stuffed with amusement for me and my office co-workers to visit your website on the least 3 times weekly to see the new things you will have. And of course, we are usually contented for the brilliant tricks served by you. Some 2 ideas on this page are clearly the very best we have ever had. My husband and i got very fulfilled Ervin could round up his analysis by way of the ideas he obtained while using the web page. It’s not at all simplistic to just choose to be releasing strategies some other people have been trying to sell. And we consider we have got you to be grateful to for that. The main illustrations you’ve made, the simple web site navigation, the relationships you help instill – it’s got all fantastic, and it’s really leading our son in addition to us feel that the article is pleasurable, and that’s seriously essential. Many thanks for the whole lot! I and also my buddies were checking the excellent secrets and techniques located on the blog and immediately I had a horrible feeling I had not thanked the blog owner for them. These people were definitely for that reason thrilled to read all of them and have really been taking pleasure in these things. Appreciation for turning out to be simply accommodating and then for getting some essential ideas most people are really eager to be aware of. Our sincere apologies for not expressing gratitude to earlier.